The Internet is a minefield of celebrity fitness trends and advice, so it can be difficult to navigate through to the right help for what you’re trying to achieve. If you are looking for ways to shape and tone your waist, here is a quick and easy guide to show you the best waist shaping exercises which can be done at home without needing any fancy equipment. Here we also highlight the exercises you should avoid. As with any fitness regime, you need to take a holistic view – combining the right exercises with a healthy diet and the positive mindset, so that you’re not offsetting all the good work you’re doing in one area. You’re not going to get overnight results with these waist shaping exercises but they’re flexible enough to fit in around your daily life, and don’t require a massive time commitment. How much time you spend on the healthy diet is up to you! 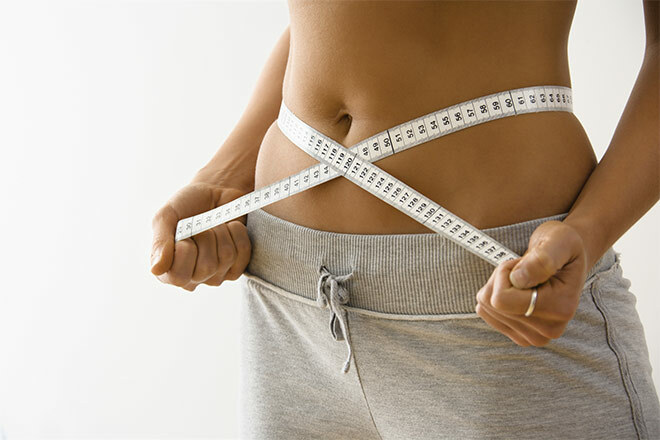 The general premise is that you want to tone and lengthen your abdominal muscles, rather than building additional muscle mass, as that will make your waist wider! That doesn’t mean that you should neglect your core though, as it’s essential for improving your posture (to really show off that toned waist) and helping to prevent back pain. You can also look at exercises which tone your shoulders and hips, again adding to the illusion of a slimmed waist. Classic crunches are out! 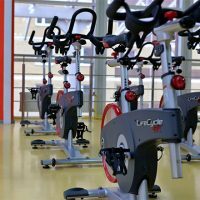 A study conducted by the American Council on Exercise found that bicycle crunches were much more effective at toning your rectus abdomens (the ‘six pack’ muscles) and obliques. Lay on the ground with your lower back flat and you head and shoulders slightly raised. Put your hands either side of your head, but without linking your fingers. It’s important not to pull your head up with your hands at any point. Bend one knee upwards at a right angle and lift the other leg off the floor. As you do this, twist your torso so that the opposite elbow comes towards the bent knee. It doesn’t matter if your elbow doesn’t get to your knee though, its the twist that’s key. Lower the bent knee and elbow, whilst swapping to the other side. Build up to three sets of 10 reps on each side. Don’t be tempted towards ab exercises involving weights as these will also contribute to building muscle mass on the front of your abs. For example, swap a weighted side bend for a reclining knee twist. Sit on the floor and lean back so that you are supported on your forearms. Lift your knees to a right angle position. Slowly drop your legs as far to the right as you can, without moving your upper body. Bring your knees back to centre and drop them over to the left. Aim for 10 reps on each side. Traditional front planks are great for working your core but side planks are even better for really toning your obliques. Lay on your side with one foot on top of the other and one forearm underneath your shoulder. Raise your hips so that your body forms a straight line, remembering to contract your core at the same time. Hold this position without losing your straight line, then switch to the other side. You will probably need to build up the hold time for this one, with one minute being a good target. It helps to focus your attention on one point in front of you whilst you are holding. Also ensure that you don’t balance on the sole of your foot, as the side will give you more stability. Another great waste shaping exercise is a toe tap. Lay on the floor with your back and head flat into the floor. Lift your knees to create a right angle with your hips. With pointed toes and keeping the right angle shape, lower one leg down until your foot taps the floor. Bring it back up and repeat with the other leg, for 10 reps on each side. Combining these waste shaping exercises with your favourite cardio workout will really put you on the path to waist shaping success. HIIT is great for shifting fat and burning more calories whilst you’re exercising, which is great if you only have limited time. Check out Waist Trainer UK for more helpful advice and guidance on fitness trends and waist training and shaping products. Always consult with a medical professional before embarking on any diet or fitness programme, particularly if you have existing health issues. Gemma Hall is the author of the Mummy’s Waisted blog and runs Waist Trainer UK. Gemma is mum to two small children and is always on the look out for ways to balance family life with fitness. Great tips here, definitely going to be doing more bicycle crunches now. Good balance of core exercises to target the different layers of the core. I would definitely recommend starting off with planks before you hit the crunches if you are just getting started. This helps to improve core stabilization, which is an essential first step when undergoing any core training program.